To view the original Statement, please CLICK HERE. 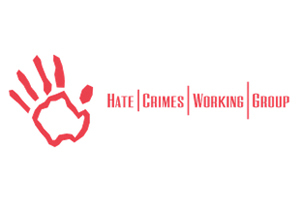 The Hate Crimes Working Group is committed to building a democratic South Africa, based on the values of the Constitution and that celebrates diversity and difference. We are deeply concerned about the impact of hate speech on our society, building consensus and unity, and bridging and repairing the injustices of South Africa’s history. Hate speech has no place in South Africa, and we command swift responses to instances of hate speech. We are of the position, however, that the criminal law is a blunt and ineffective instrument for regulating hate speech, and we recommend alternative means to address incidents of hate speech. We note that new proposed legislation entitled the Prevention of Hate Crimes and Hate Speech Bill specifically criminalises hate speech. While we celebrate the drafting of explicit legislation that recognizes hate crimes, we are opposed to the criminalisation of hate speech in this Bill. We are opposed for legal, practical, and ideological reasons that we set out below. Legal Reasons: There are currently existing legal measures that adequately regulate hate speech in our society such as the criminal charge of crimen injuria under common law; the Promotion of Equality and Prevention of Unfair Discrimination Act; section 16 of the Constitution which limits “freedom of expression” rights to not include hate speech; and the Cyber Crimes and Cyber Security Bill. In addition, the criminal law demands a difficult “standard of proof” i.e. to secure a conviction the state must prove in court that a person clearly intended to commit a hate speech offence “beyond a reasonable doubt.” The National Prosecuting Authority often does not prosecute cases where chances of securing a conviction are low. Moreover, the Bill requires approval of the Director of Public Prosecutions to proceed with all hate speech prosecutions. Because of these hurdles at the prosecution level, this could mean that although hate speech is criminalised by law, there may actually be few convictions through criminal courts. In fact, the Equality Act was intended to provide a means for swift and accessible justice and remedies, and we recommend that the Department of Justice strengthens the Equality Court system to adequately deal with hate speech through this means. Practical Reasons: As the hate speech bill is criminal law, it will oblige the South African Police Service (SAPS) to investigate hate speech offences. The SAPS is overburdened, and the Civilian Secretariat for Police–the oversight committee for SAPS–has already scrutinized SAPS for its lack of compliance with national legislation (such as the Domestic Violence Act). Under the hate speech bill, SAPS will only be given “national instructions” which will be even less binding than legislation, in terms of SAPS’ obligations. This may result in disparity between the hate speech legislation and how it is actually enforced in practice. Ideological Reasons: The hate speech bill takes a punitive approach to justice by subjecting hate speech offenders to a fine or imprisonment that may not deal with the underlying prejudice that gives rise to hate speech. 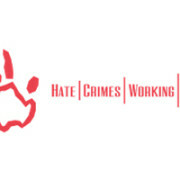 The HCWG believes that a long-term, restorative approach might hold a more effective route to combating social ills such as racism, xenophobia, and homophobia whereby deeper inter-group dialogue is fostered to understand the differences that exist in our diverse and vibrant society, and greater awareness is raised about our important Constitutional values of equality and human dignity. http://hcwg.org.za/wp-content/uploads/2015/11/HCWG.jpg 200 300 HCWG http://hcwg.org.za/wp-content/uploads/2013/04/HCWG-Logo-Side.png HCWG2017-02-14 14:58:242017-02-14 14:59:09A Briefing Note: Criminalise Hate Crimes, not Hate Speech!